The University of Helsinki (together with Hecse and HIIT) will organize an international autumn school on computational creativity. We cordially invite PhD and MSc students and researchers who are interested in being introduced to various aspects of computational creativity by experts in the field. Previous experience of the field is not needed. We primarily target audience that has background in computing, but we also welcome participants from other related disciplines. The goal of computational creativity is to model, simulate or enhance creativity using computers. Different subfields of computational creativity include linguistic, musical and visual creativity, producing creative artifacts such as jokes, paintings, or musical pieces. 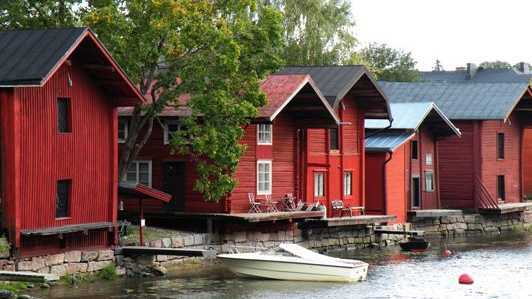 The autumn school will take place on 7-11 November in Porvoo, Finland, 50 km east of Helsinki. For more information about the topics of the school, and about the venue, hotels and travel, see the links in the left column. The University of Helsinki will give 3 ECTS credits to its students for participation in the full autumn school programme. Students of other institutes will be given a letter as a proof of their participation in the school.